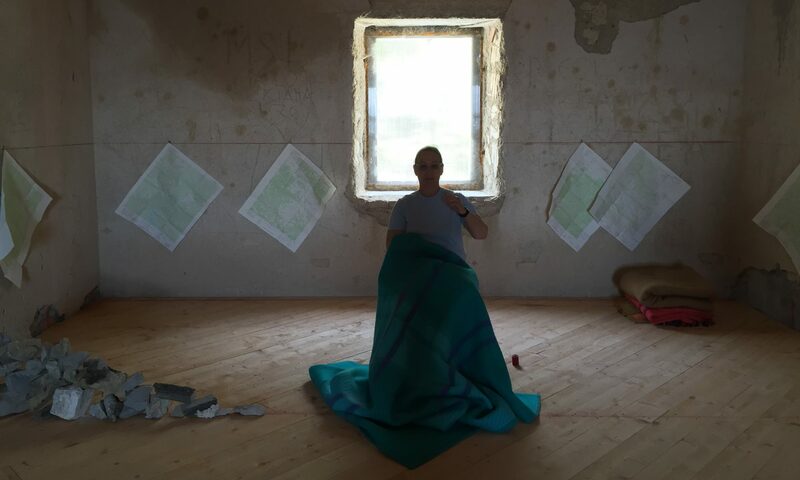 physical and metaphorical spaces. 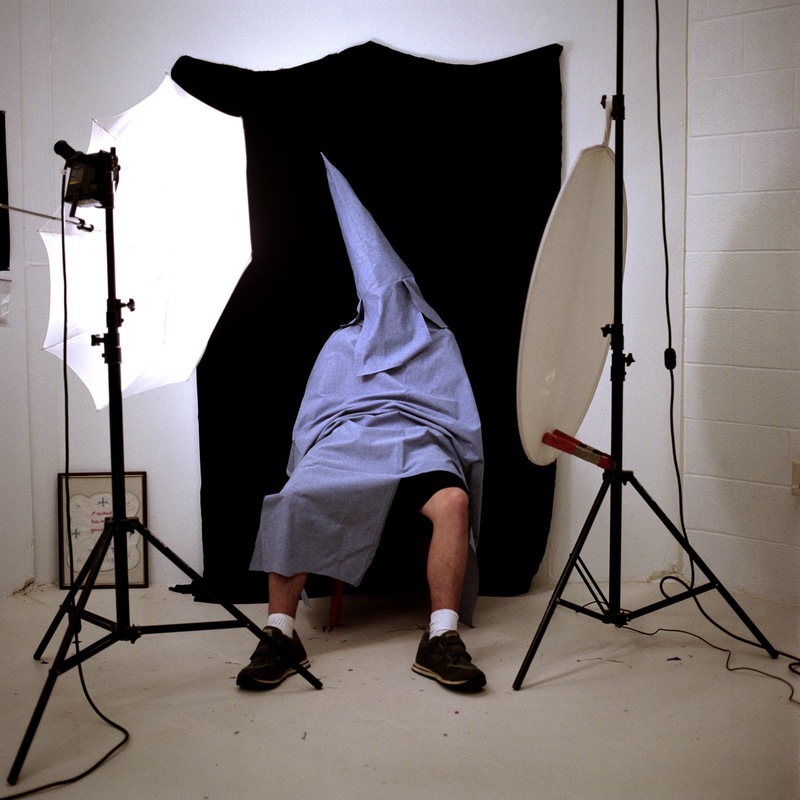 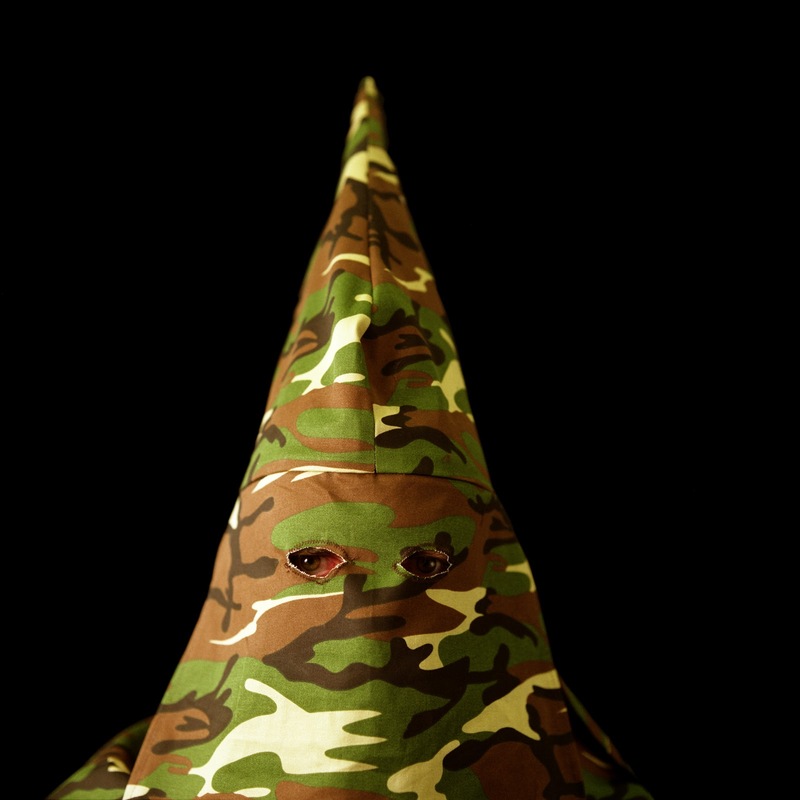 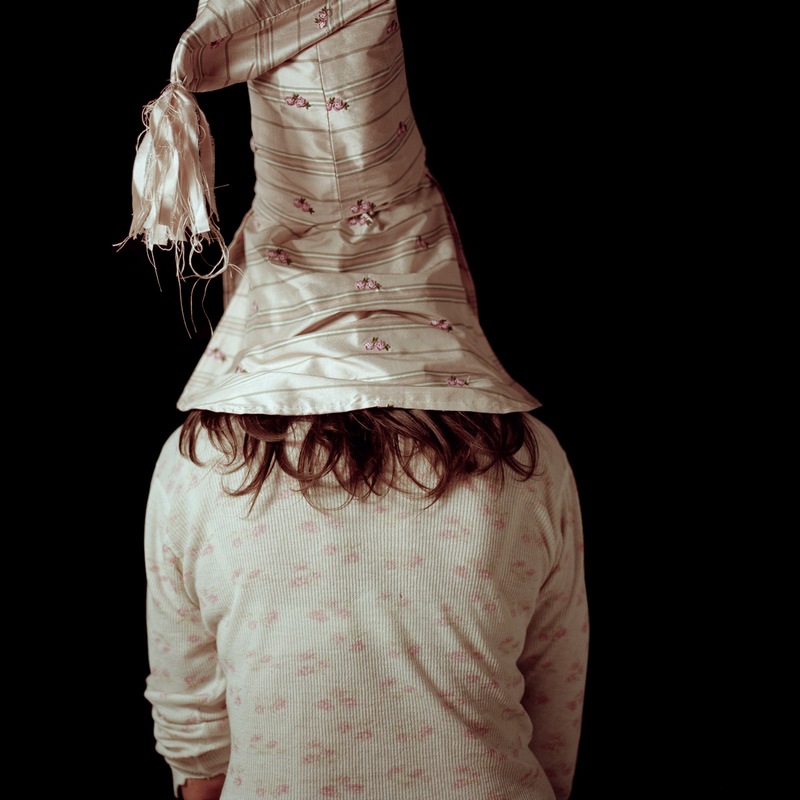 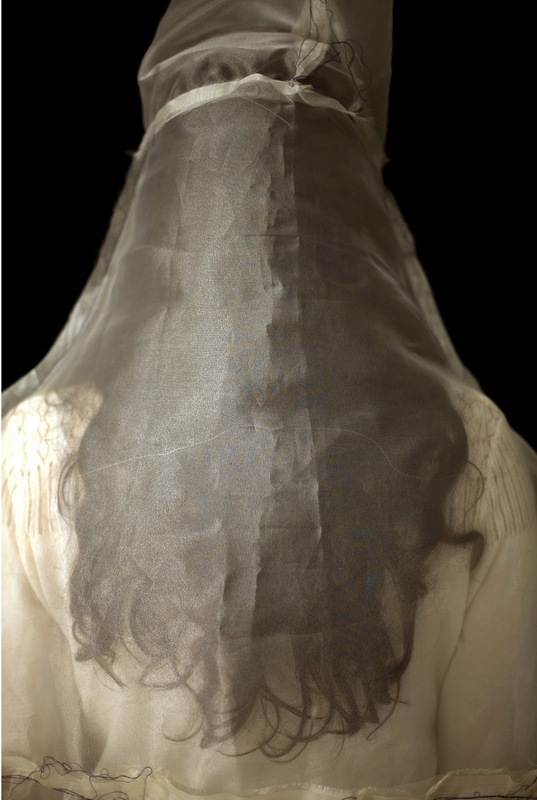 Page’s photographs of contemporary versions of Ku Klux Klan hoods and robes in the series “Postcards from Home” (2007) defy social divisions. 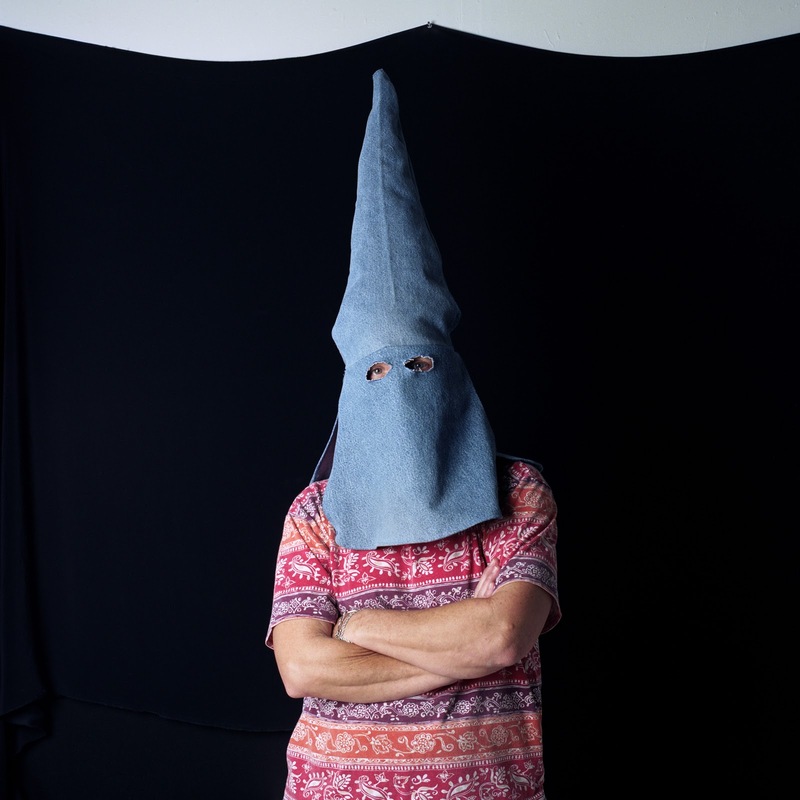 Like many others in this region, Page, who moved to North Carolina from Ohio as a child, has grown into being a Southerner, even as she retains some identification with the North and a deep familiarity with its own forms of racism. 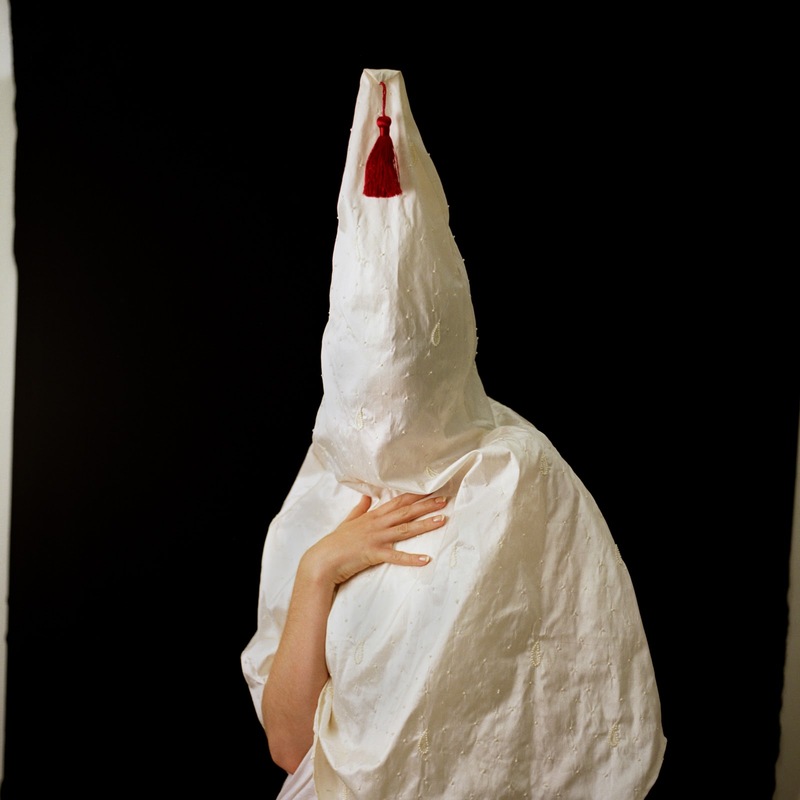 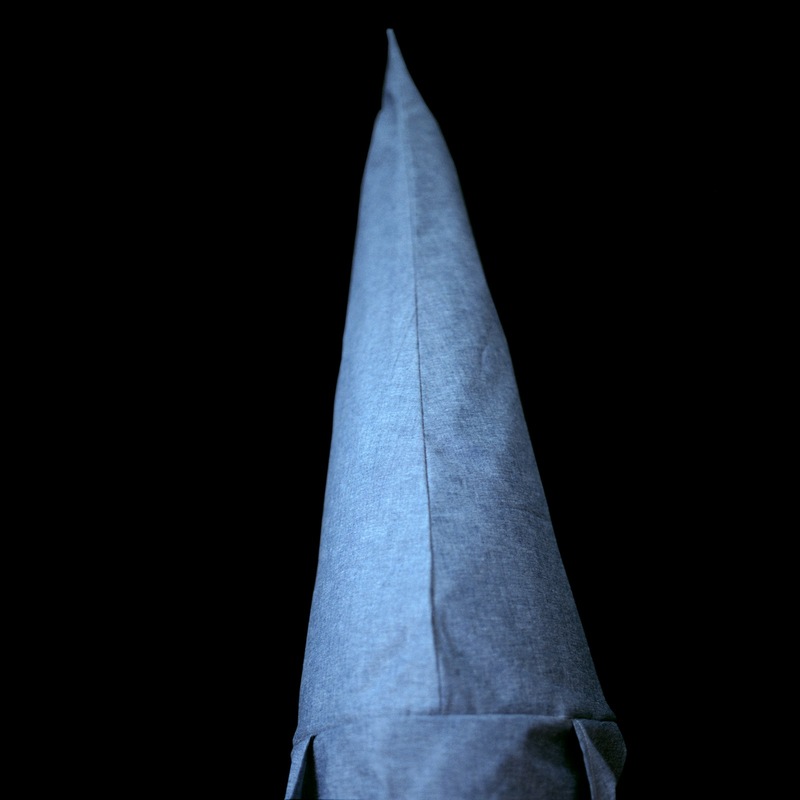 Although almost playfully ironic, an implicit violence shadows Page’s cryptic, if lush, photographs of Klan hoods sewn from contemporary fabrics. 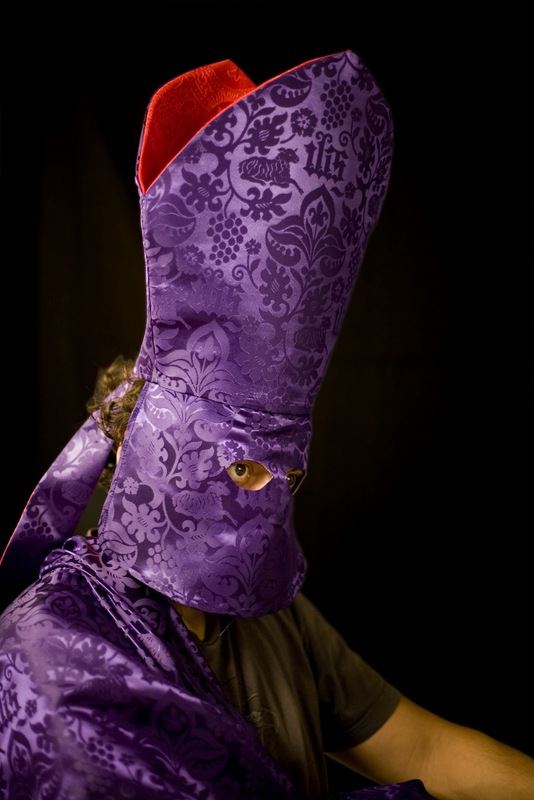 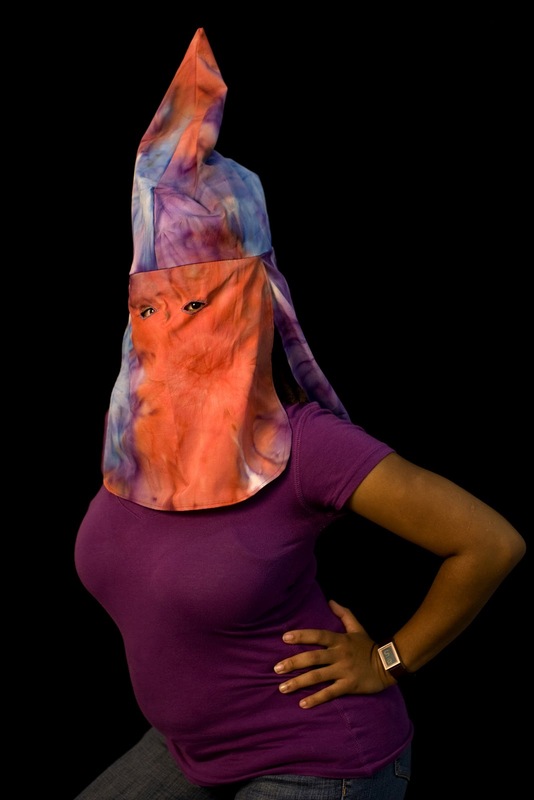 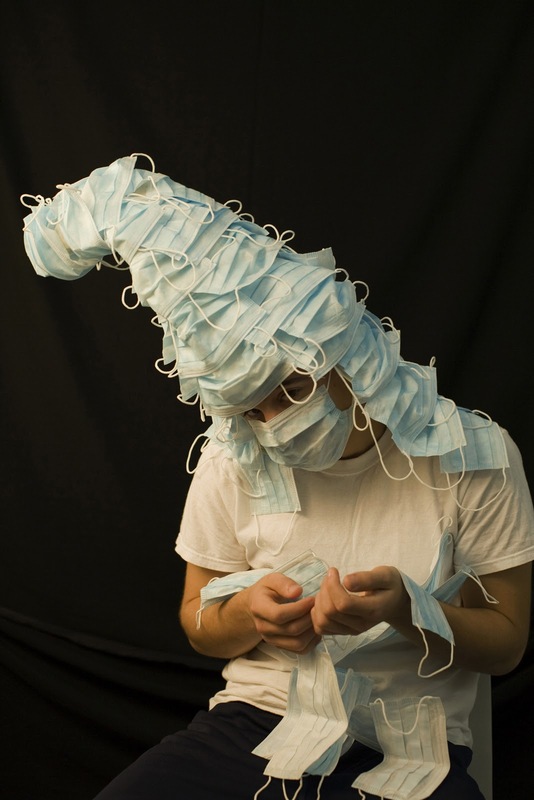 The disguise offered by such garments confers anonymity and a perverse sense of power upon the wearer. 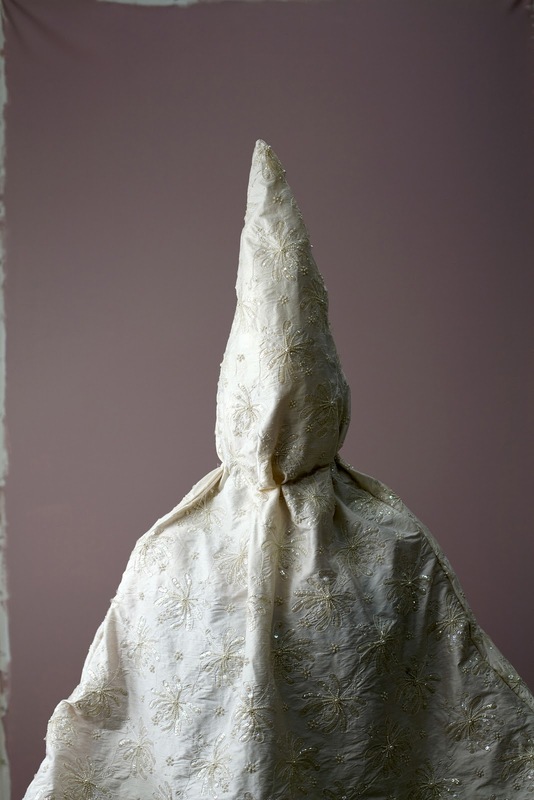 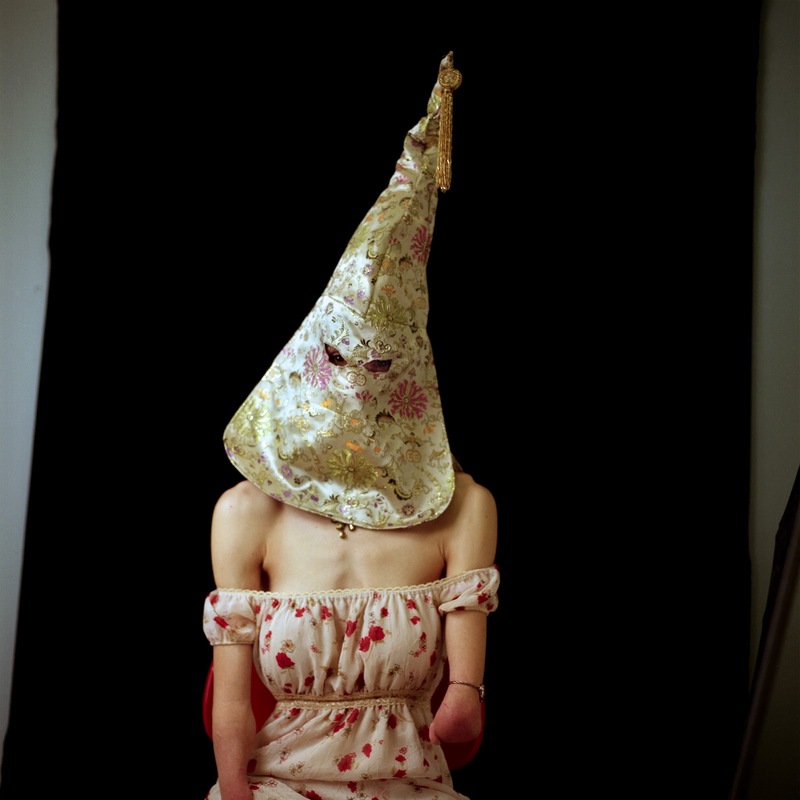 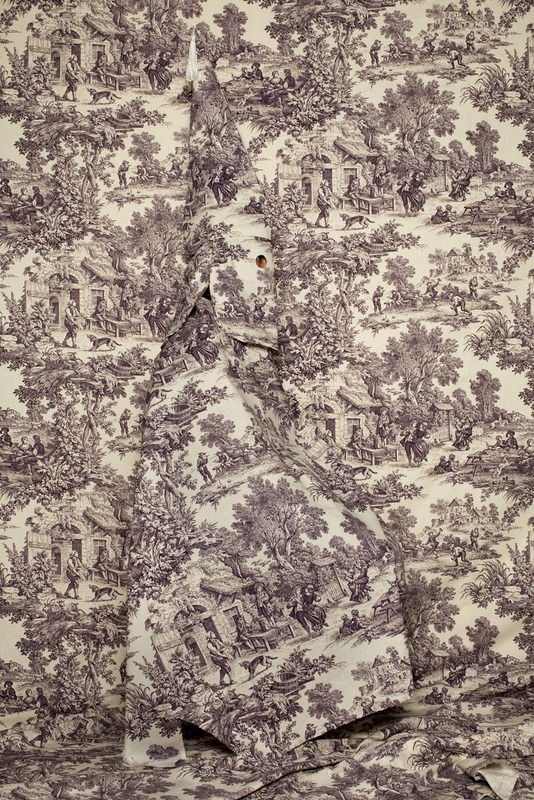 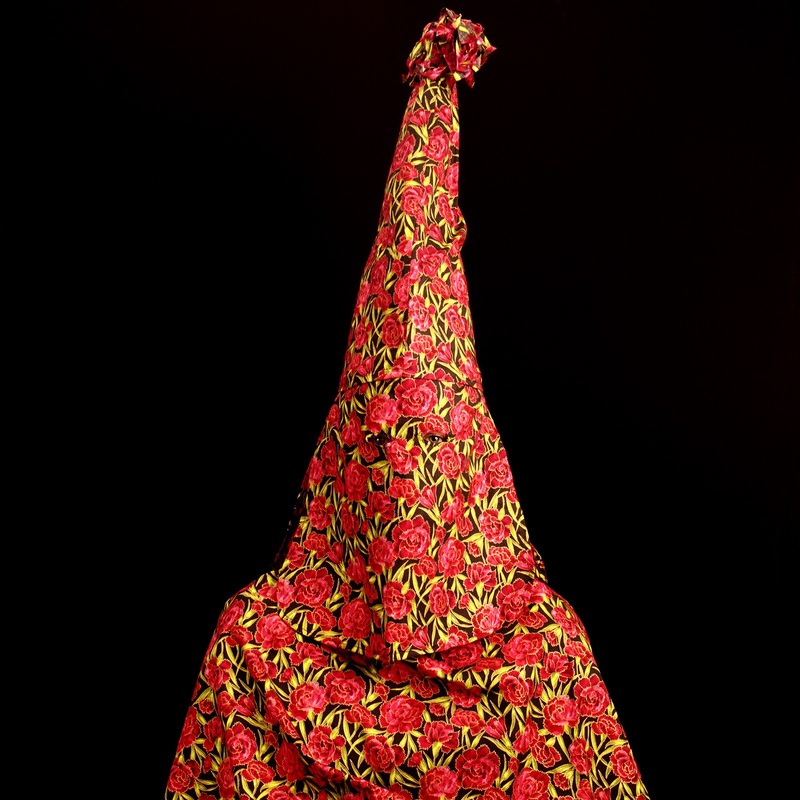 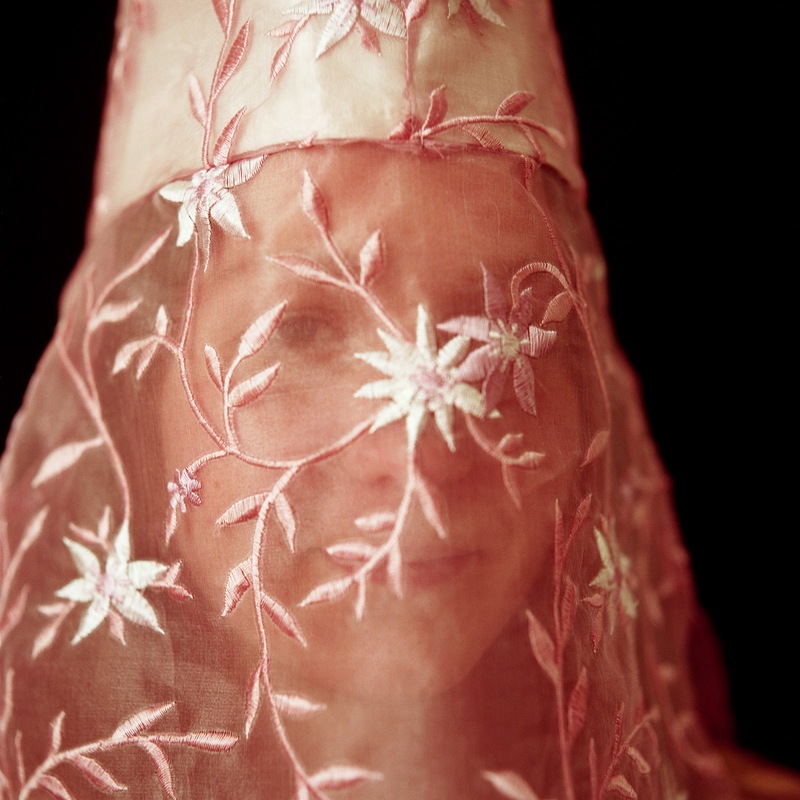 In 2007, Page began to sew her own versions of Klan hoods and robes from colorful prints, rich velvets and corduroys, decorative toiles, and conventional blue oxfords. 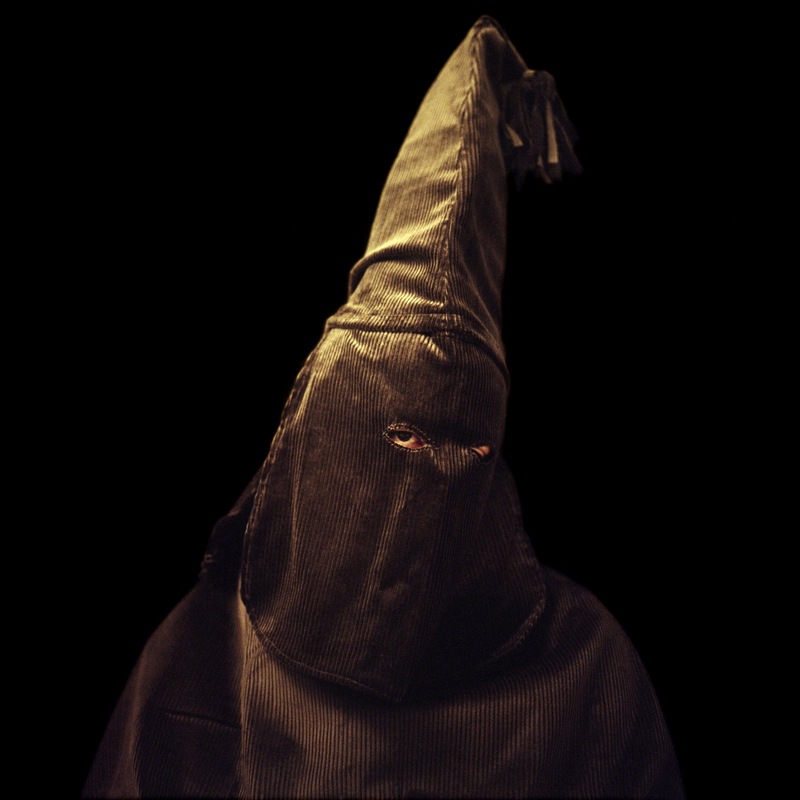 Modeled by friends and family, these costumes form the basis for visually seductive photographs that picture a brutal history, with effects in the present. 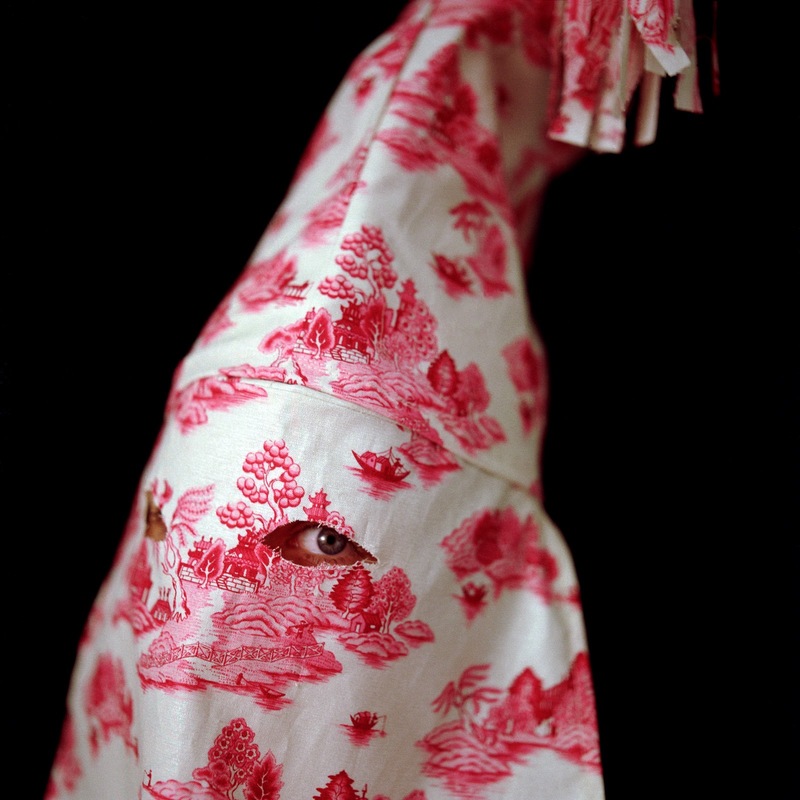 Page’s photographs unsettle any sense one may have of moral superiority, for one can imagine oneself in the place of one of her models. 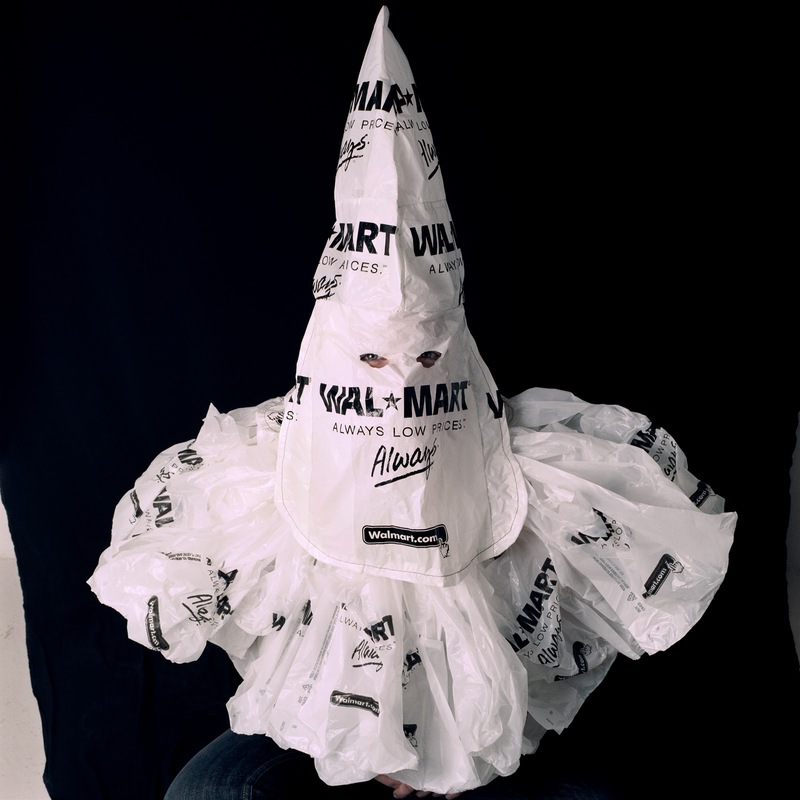 domestic spaces of women whose “virtue” male White Supremacists claimed to protect. 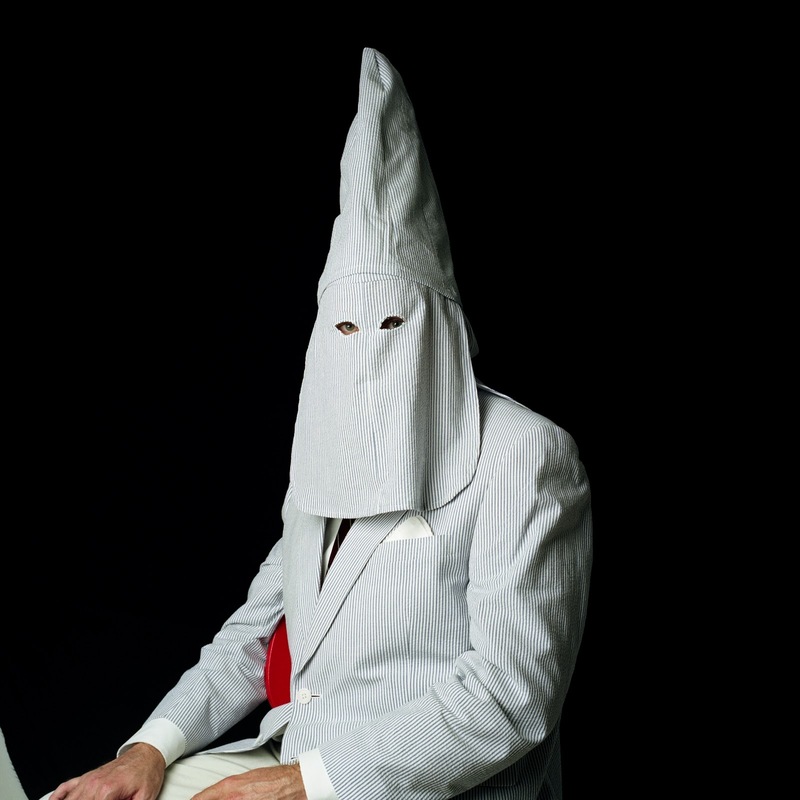 racial “purity” posed by miscegenation.